Looking to add larger tires on your Wrangler JK for the trails but you still want to maintain that factory ride for your everyday drive? The 2.5" Rock Roller Kit will give you the extra clearance you need to fit up to 35" tires without changing the factory ride. With this kit you will be able to tackle the trails while still having your off-road machine as your daily driver. Extra Clearance: 2.5" lift allowing you to run up to 35" tires making it easier to navigate those harder trails you have been wanting to try out. Factory Ride: Maintain your factory ride even though you have added additional height to your JK. This is achieved with longer springs, being stock drive line compatible & quality components. Bolt on Installation: A simple bolt on lift kit that requires no cutting or drilling making sure you are out on the trails having a blast in no time. 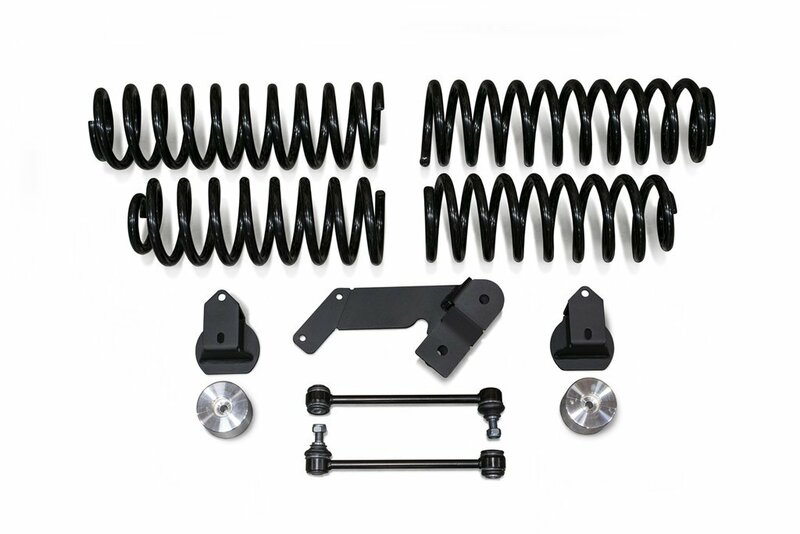 Additional Options: Have your choice from either a coil spring kit or one with shock extensions or with shocks.